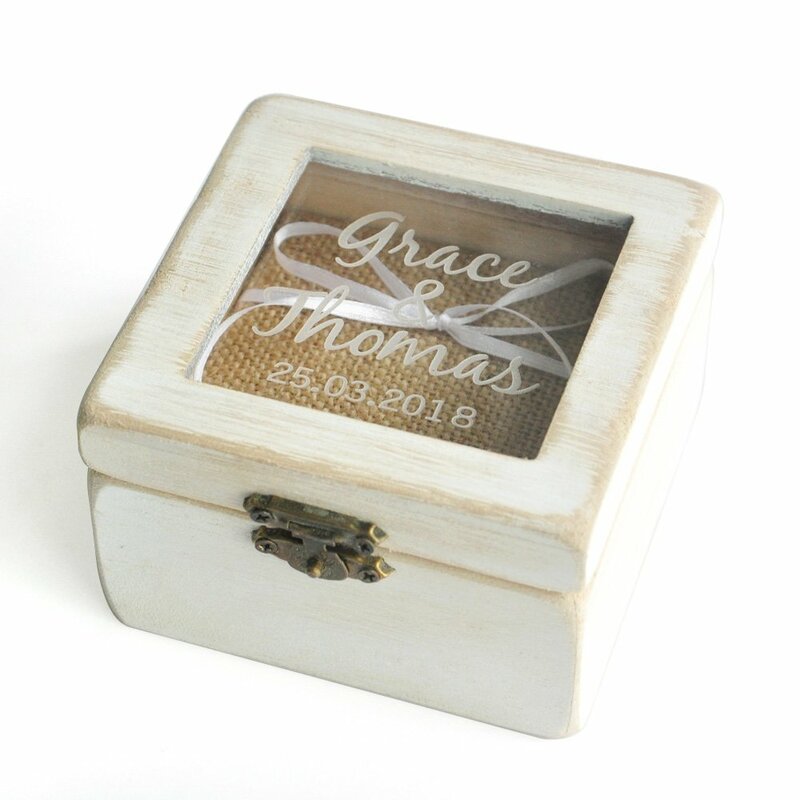 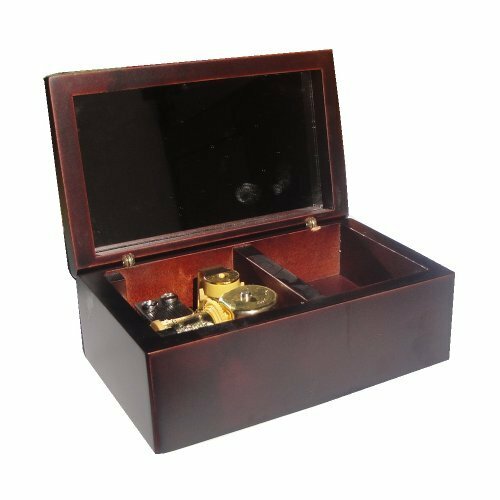 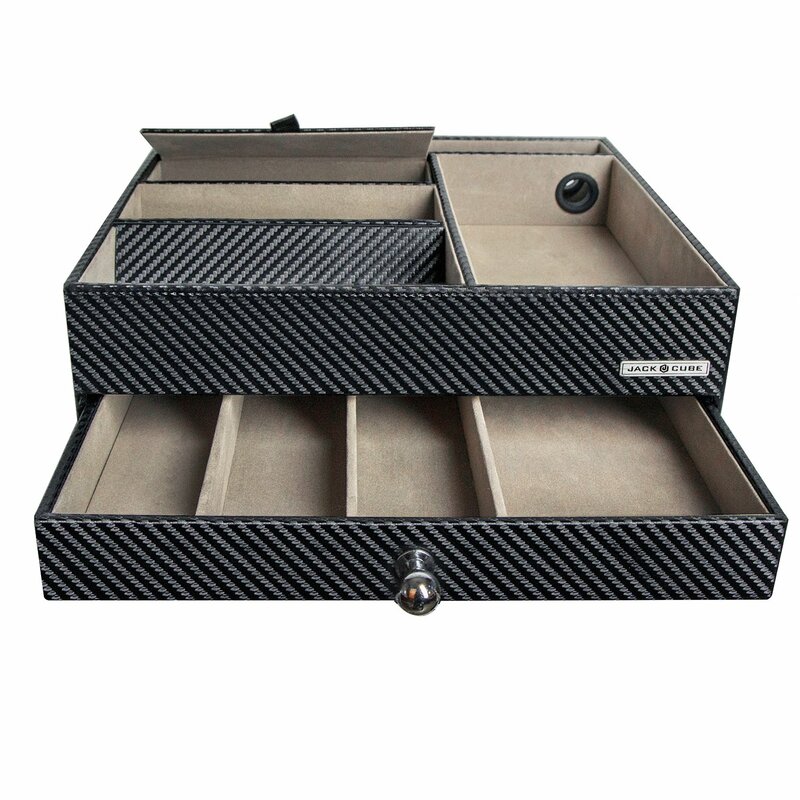 ENOUGH STORAGE FOR VARIOUS STUFFS - 5 Compartment for upper place with cover for eyeglasses with charging hole for smartphone and tablet, 4 Compartments for lower place with a drawer to store jewelry, watches, bracelet and etc. 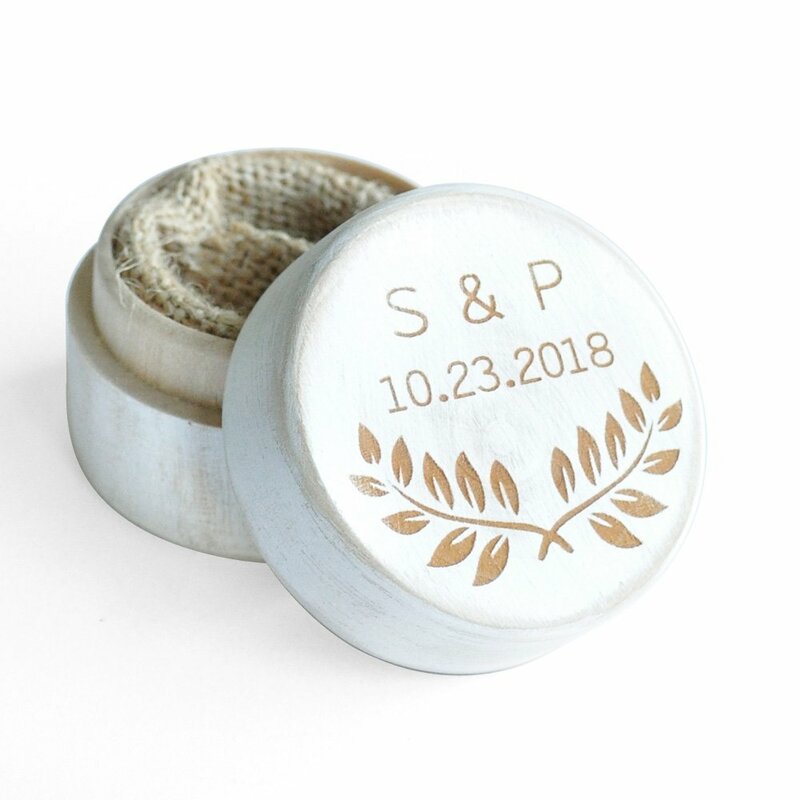 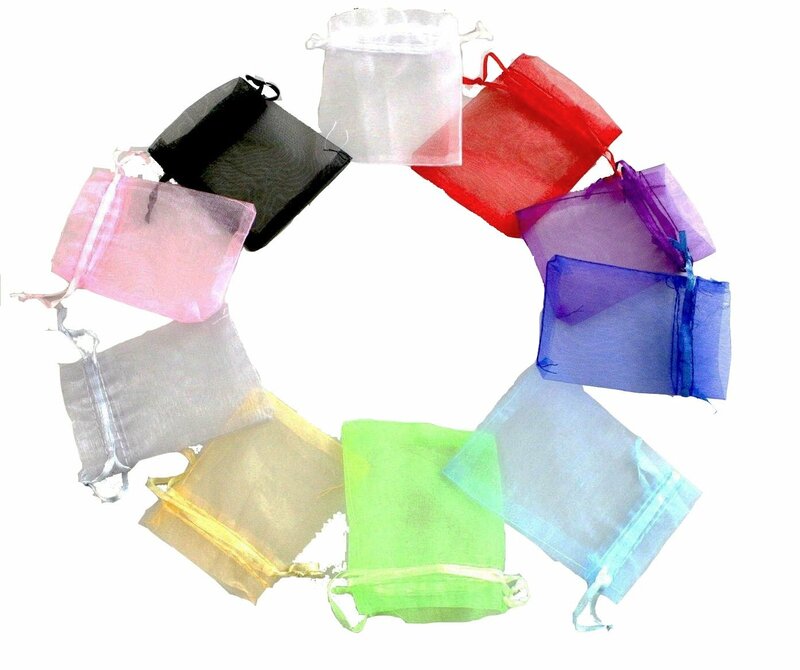 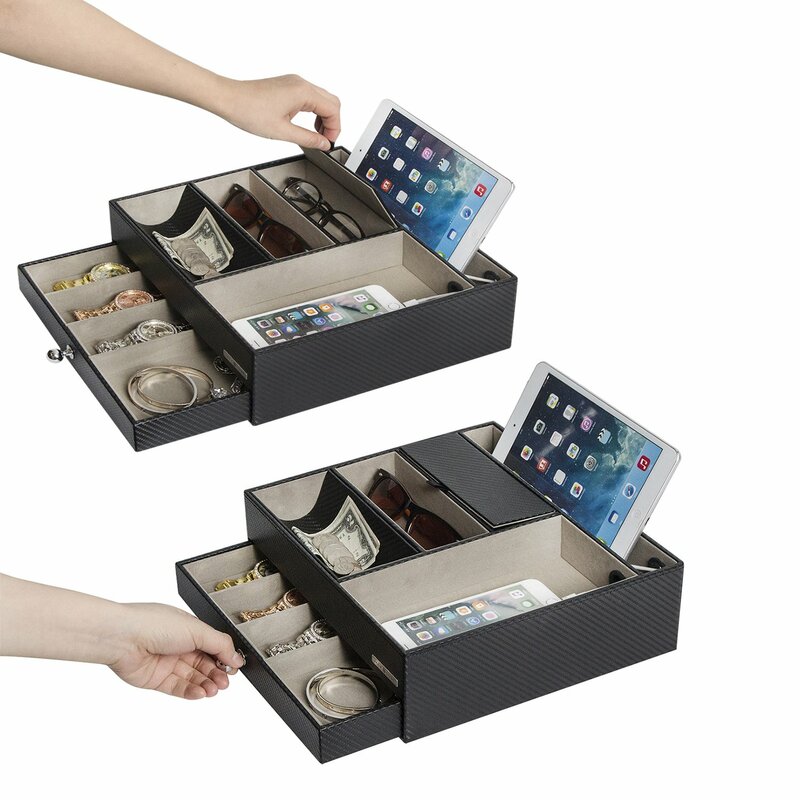 Do you have important stuffs to organize? 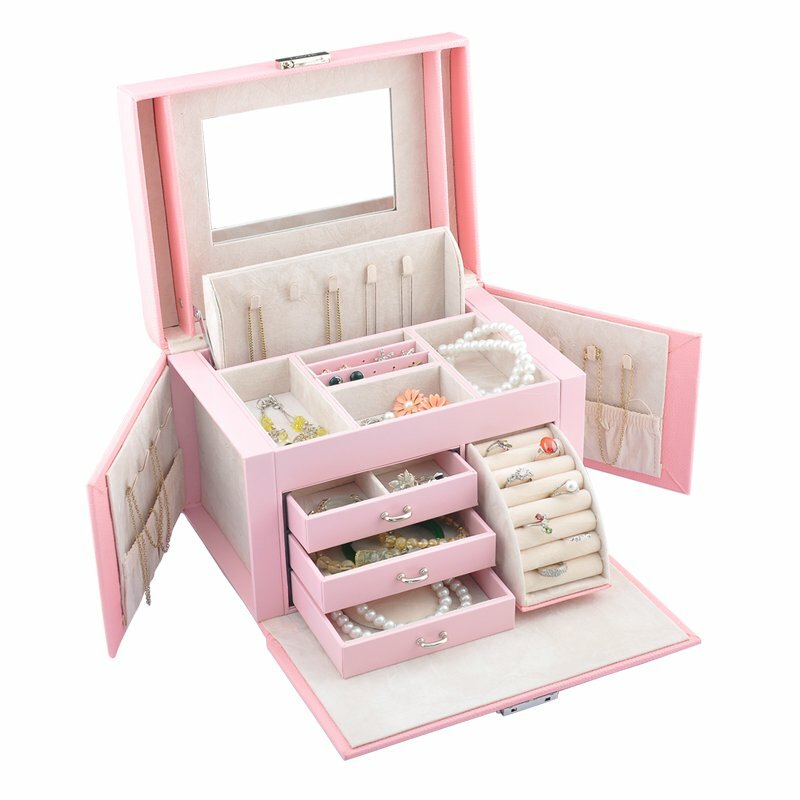 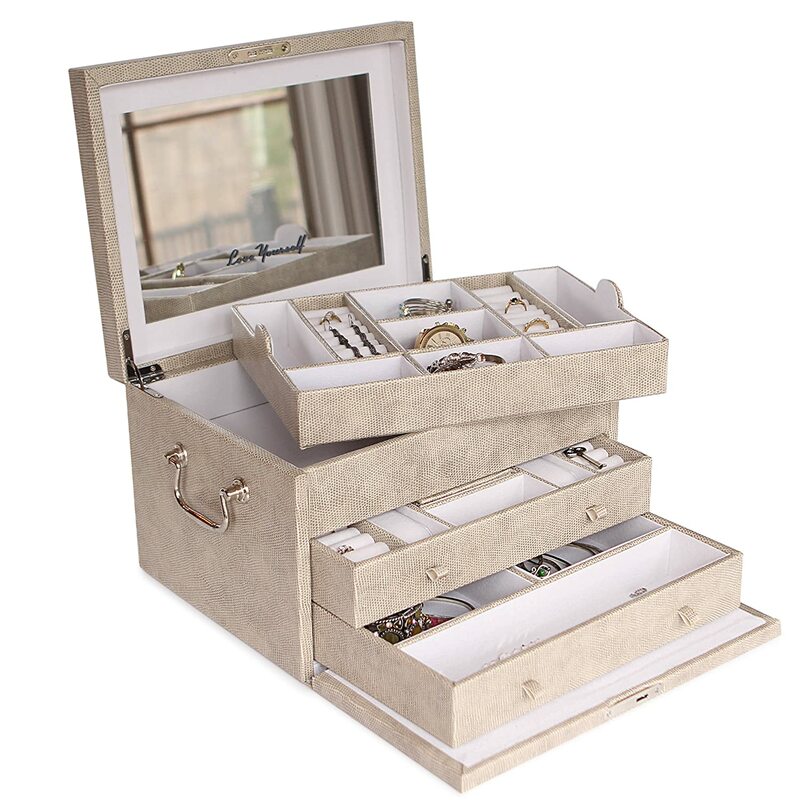 And are you looking for the perfect organizer for next to bed, dressing table, makeup room and home? 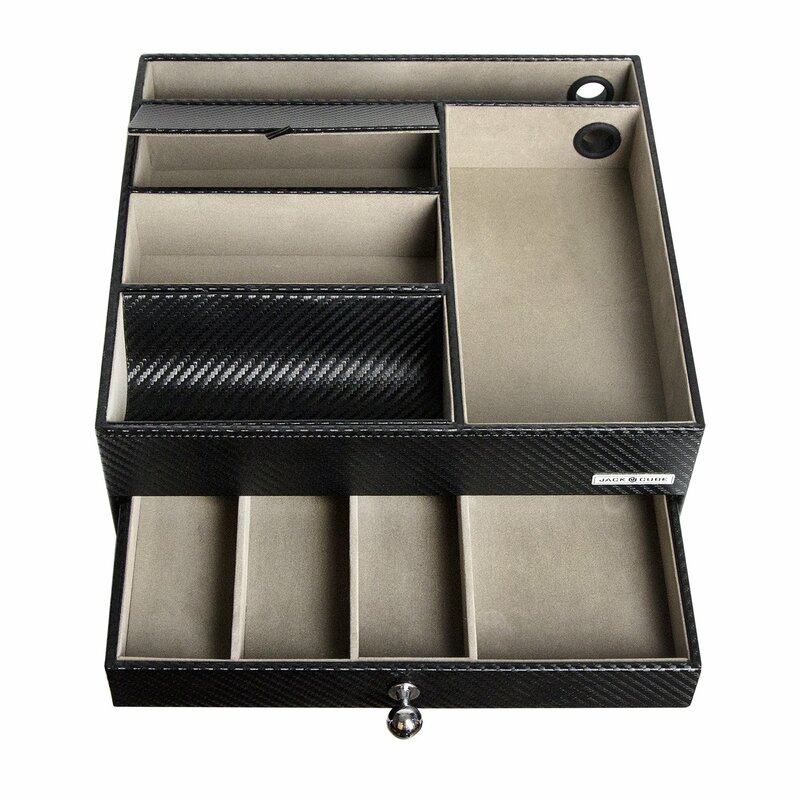 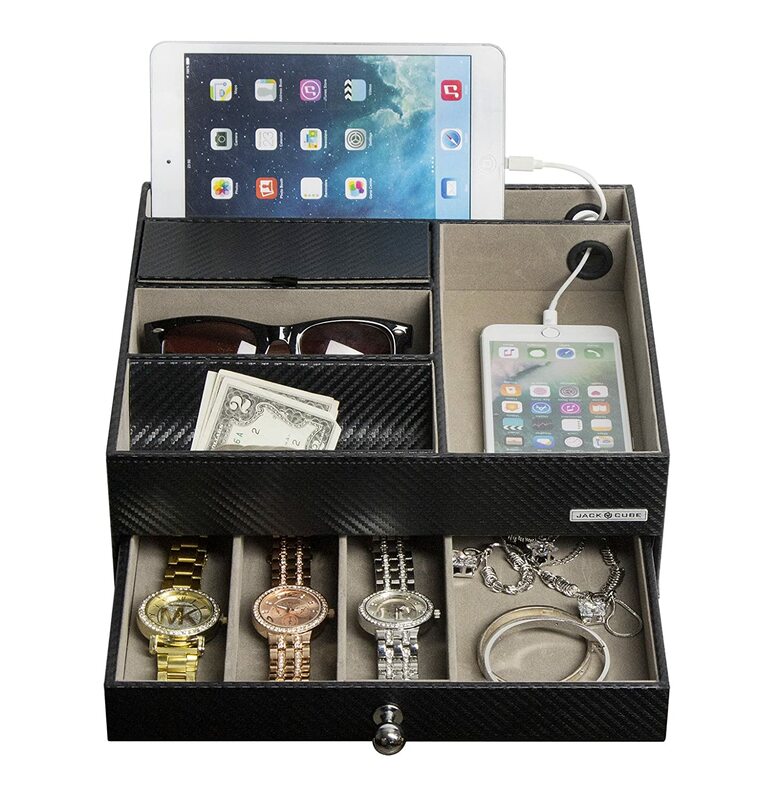 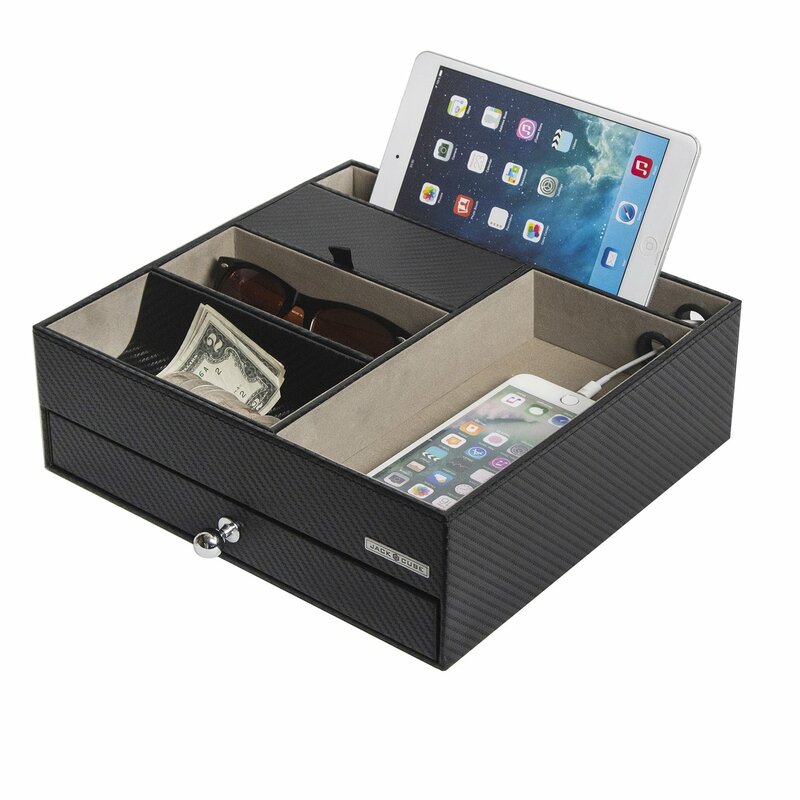 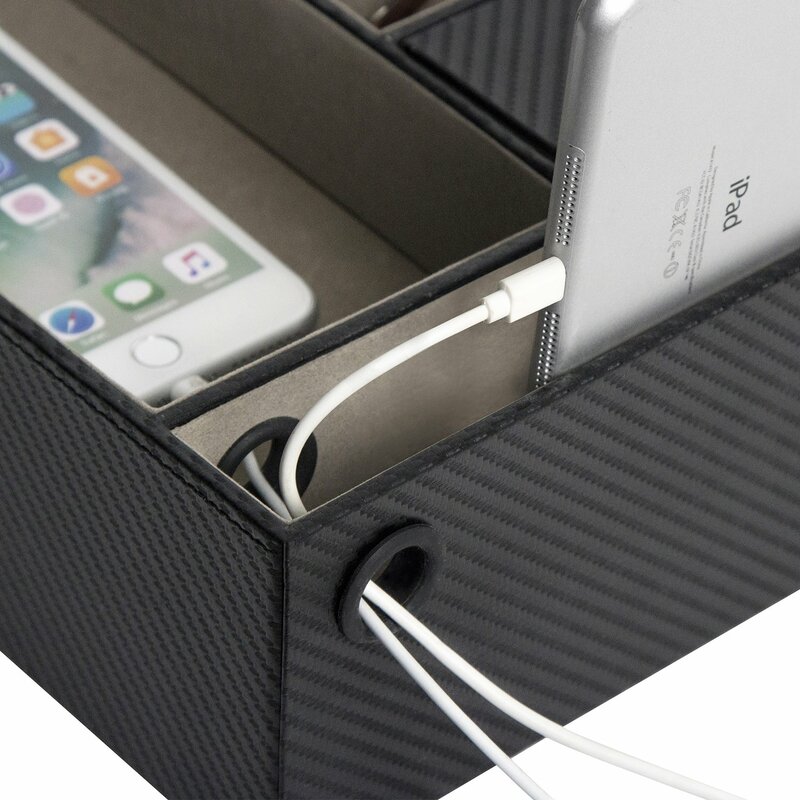 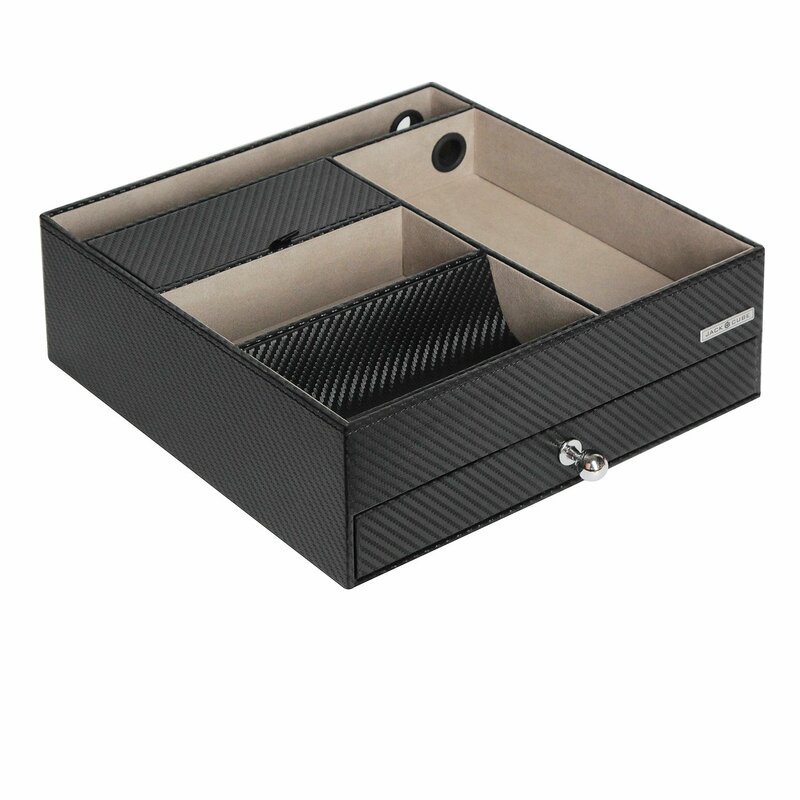 Then, here is perfect one which is Multi-Functional Night Stand Black Leather Box Catch All Valet Tray Organizer Storage Case Tray with Drawer and Charging Hole(Black, x 0.4 x 3.5 inches)-MK389A. 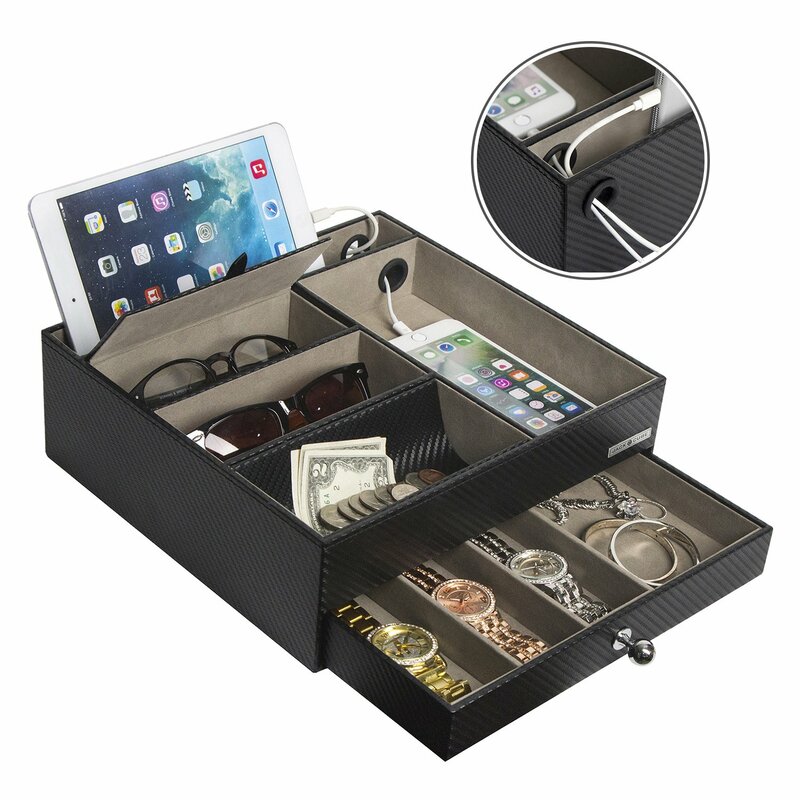 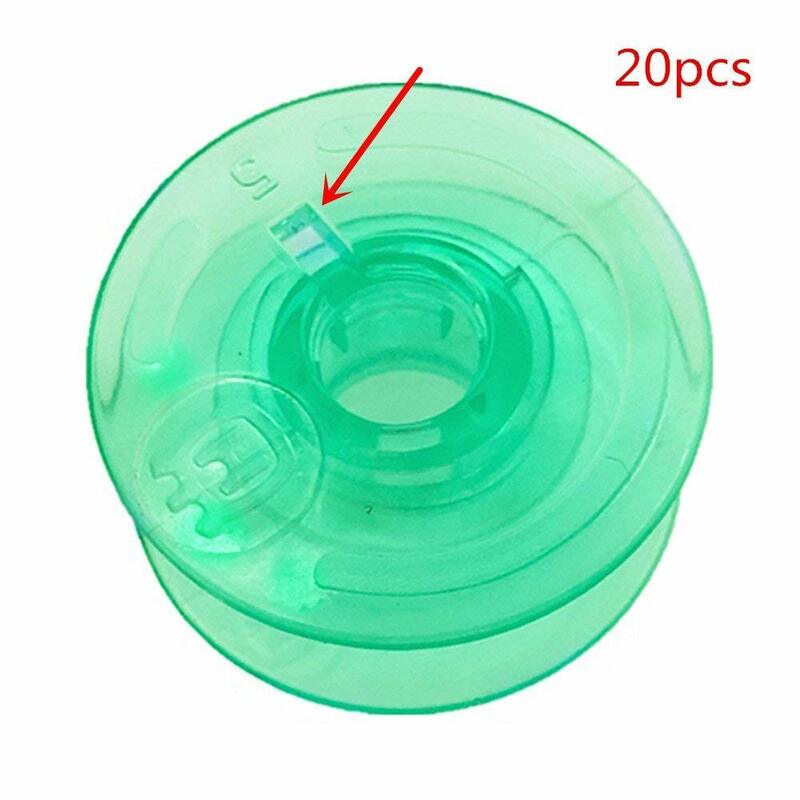 5 Compartment for upper place with cover for eyeglasses with charging hole for smartphone and tablet, 4 Compartments for lower place with a drawer to store jewelry, watches, bracelet and etc.